Yesterday Google announced their Speed Scorecard, a tool for website owners to measure the impact of their site speed on their earnings and revenues. This is aimed at advertisers but can be used by anyone over here. 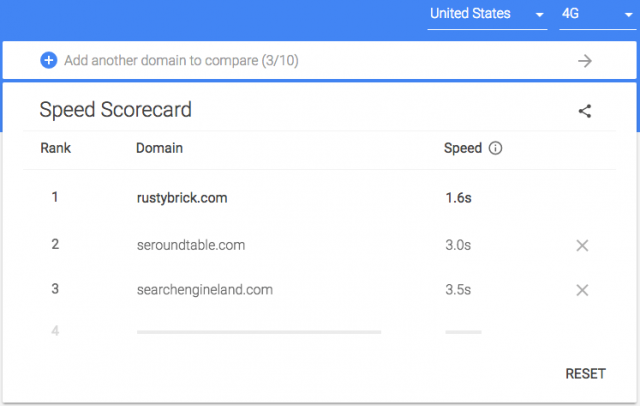 There's a bit more if you click the (i) link for help: "Included Sites: The Speed Scorecard covers a subset of sites from the CrUX Report which provides speed data for popular URLs that are known by Google's web crawlers." You can still test your site manually though!